Dausa is a city and administrative headquarters of Dausa district in the state of Rajasthan, India. It is 55 km from Jaipur, 240 km from Delhi and located on Jaipur-Agra National Highway (NH-11). It is also known as "Dev Nagari." and nowGetolav is main attraction of Dausa as Getolav Bird Habitat. Dausa is situated in a region widely known as Dundhar. The Chouhans & Badgurjars ruled this land in 10th Century A.D. Dausa has privileged to become First capital of the then Dundhar Region. Dausa was an important political place for Dundhar region. 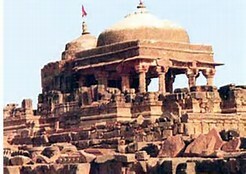 The Chauhan Raja Soodh Dev ruled this region during 996 to 1006 AD. Later, from 1006 AD to 1036 AD, Raja Dule Rai ruled this region for 30 years. As Dausa city is surrounded by Mahadev in five directions (Nilkanth, Gupteshwer, Sahajnath, Somnath and Baijnath) so it was named from Sanskrit word "Dhau and Sa". 'Dhau' means Swarg sa (Like Heaven) and 'Sa' means Sundar (Beautiful). Means Swarg sa Sundar (Beautiful like Heaven). Dausa has given prominent freedom fighters to the nation. Late Shri Tikaram Paliwal & Late Shri Ram Karan Joshi were amongst the freedom fighters who gave their valuable contribution for fight for independence and for amalgamation of the Princely States to form Rajasthan State. Late Shri Tikaram Paliwal was the first elected Chief Minister of Rajasthan in 1952 after independence. Also, Late Shri Ram Karan Joshi was the First Panchayati Raj Minister of the Rajasthan state who submitted the First Panchayati Raj Bill in the Vidhansabha in 1952. The famous poet of the traditional worship by poetry, Sant Sunderdas was born on Chaitra Shukla Navami in Vikram Samvat 1653 in Dausa. He was a renowned Nirgun Panthi Sant and wrote 42 famous Grantha, out of which Gyan Sundaram & Sunder Vilas are famous. Current Dausa MP is Harish Meena, A former DGP of Rajasthan Police. Industrial development in Dausa started when District Industry center was established. There are 3497 small and micro industries registered up to 31 March 2015 having investment of Rs. 5171.00 lacs and providing employed to 13201 persons. Many industrial area have been developed by RIICO in the district. My favourite teacher was Jayita Biswas Ma’am. She was my Social Science teacher. I participated in Inter House Football and Cricket Match. I was selected as the first Head Girl of the school. I miss my school a lot, the kind of environment we got in Fabindia can be found nowhere else. All the teachers were very supporting and friendly. It was away from the disturbances of the city and very good environment for studying and concentrating. I remember the days of our picnics to different places and all the functions of my school. I wish if the school could invite all the alumni for a reunion around the Annual Function of the school. I would like to give the message to my juniors that the future belongs to those who believe in the beauty of their dreams, so keep dreaming and study hard. ICN: The environment was eco-friendly and attached with Mother Nature. ED: What do expect from your students? ICN: I want my students to be disciplined, have antiquates, manners and have some extra knowledge. ICN: I didn’t teach any school before Fabindia. ICN: Students should be disciplined, be mannered and keep your mentality with the generation. If students require any help we are there for them. Mrs. Kavita Devda celebrated her wedding anniversary. We all wish her a very happy married life ahead! The Staff wishes Mrs. Urmila Rathore a very Happy Birthday and a prosperous future. Congratulations to Staff for being honoured and awarded with Educators badge. From now onwards the new definition for Teachers will be Educators. School is experiencing hot, bright and sunny weather. Even the mornings and evenings are very hot. Temperature during the evenings and mornings is at 36°C. Every week temperature is shooting up by 2°C. Scorching sun has taken the life out of everybody. Days are longer, hotter, while nights are shorter but not so cool as Rajasthan would experience. Highest temperature recorded was 43°C and lowest at 27°C. Humidity was at 9% and the wind blew at 7 km/hr. Tuesday, 2nd May: Special Assembly was organized on the occasion of World Asthma Day. Mr. Bharat Khandelwal said that it is an annual event organized by the Global initiatives for Asthma (GINA) to improve Asthma awareness and care around the world .World Asthma Day is organised on the first Tuesday of May .The theme of 2012’s event was “you can control your asthma .”The inaugural World Asthma Day was held in 1998 .A theme is selected annually that raise awareness of the causes and effects of this bronchial condition which affects approximately 235 million people World Wide organized by health care workers in over 35 countries, World Asthma Day focuses on educating public on what research has found to be the most effective ways of controlling. Friday, 5th May: Fruit Salad Activity was organized for students of Pre-Primary Section. Delicious, tasty fruit salad was made by the students with the help of their teachers. Kids observed how to wash, peel and cut the fruits to prepare yummy fruit salad Instructions were written on the board to carry out the activity. Students had fun eating delicious, healthy tasty fruit Salad. They came to know that how fruits make us healthy and keep us away from diseases. 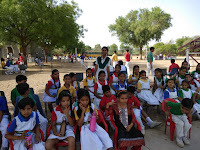 Monday, 1st May: Lemon and Spoon activity was organized for the students for Pre-Primary Section. It was fun seeing the kids run with lemons in their spoon and lemons rolling down from the spoons. Kids enjoyed the activity a lot. Saturday, 6th May: IH Lemon Spoon Race for Class I to V was organized. . Students from all the houses participated and enjoyed the sport. 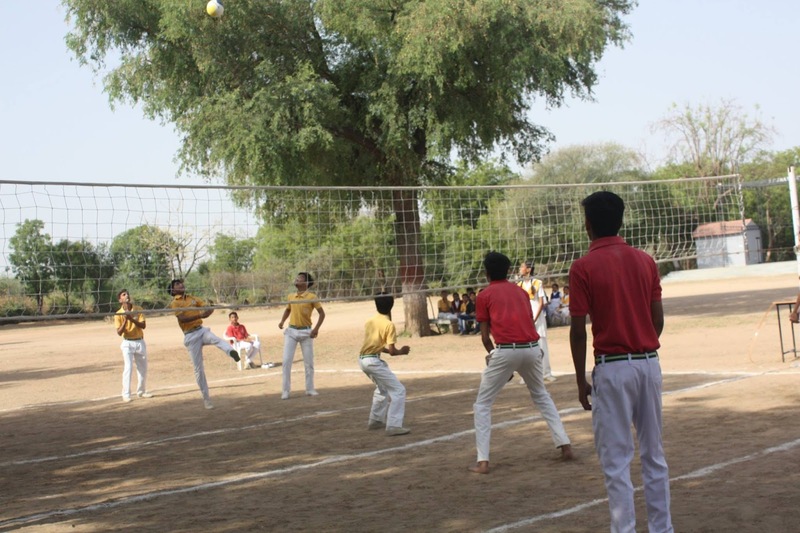 The first match of the term IH Volleyball Match was organized for students of Senior Section. Each house prepared their team for the match. First Match was played by Raman House and Teresa House., in which Raman House won the match by 11-6 Second Match was played by Dhyanchand and Gandhi House, in which. Dhyanchand House won the match by 11-9.. Final Match was played by Raman House and Dhyanchand House in which Dhyanchand House won the match by 21-16.The winner of Hardline Match was Gandhi House who won by 11-8.